Silent Sky Project#39 April 19th 2011, 9.50 – 10.20 am, 18 participants, Ankara, Turkey. Office staff of Çankaya Municipality in Ankara looked at the sky in silence for 30 minutes on a regular working day. 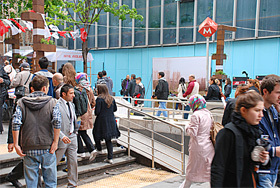 The project is organized by the Çankaya Public Art Manifestation 2011 and supported by het Fonds BKVB. The photo of Silent Sky Project#39 is presented next to the metro entrance in the center of Ankara. 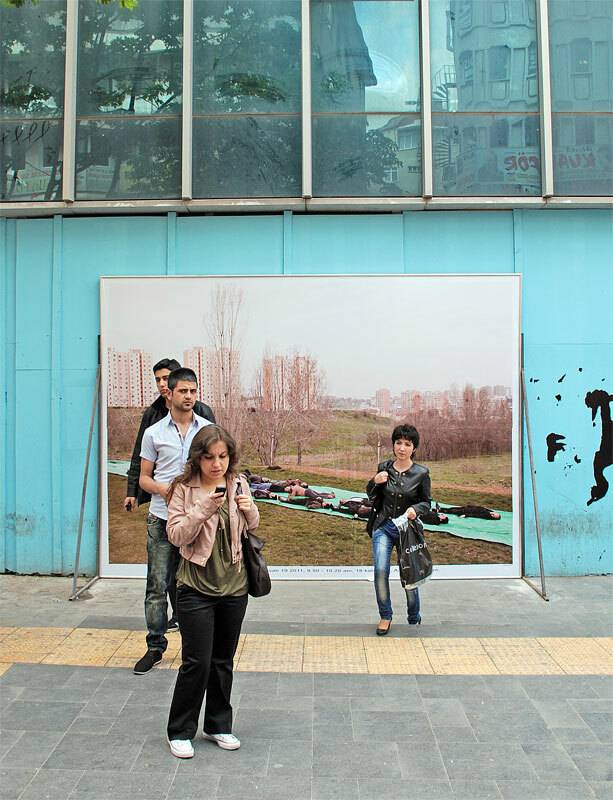 Thousands of people pass by the artwork every day to visit the many shops, bars and restaurants of Kizilay. Print on canvas in aluminium frame: 358 x 468 cm. Special thanks to: Jerome Symons (curator of the art manifestation), Umut (co-curator) , Ece, Elif, Doruk, Ellen.